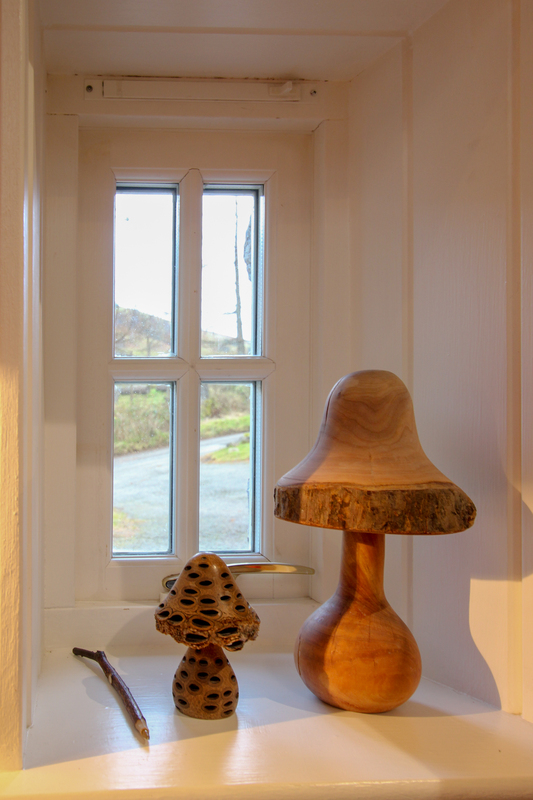 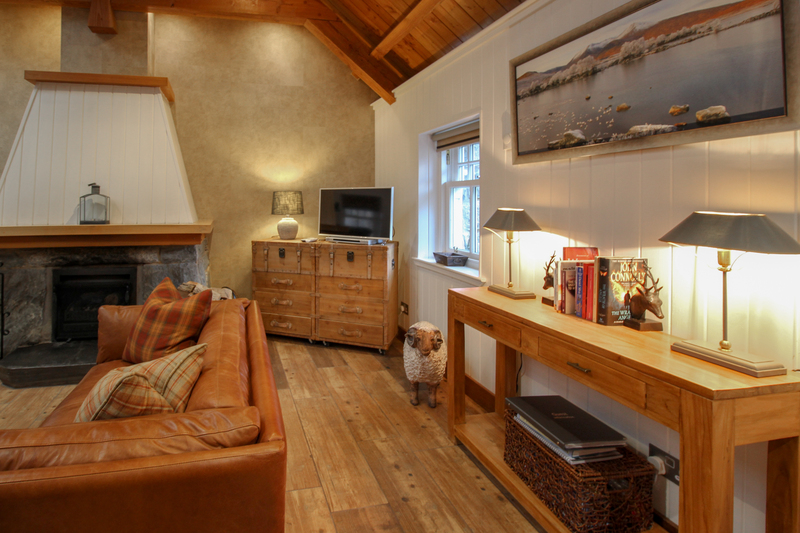 About the Old Byre Luxury Self Catering Cottage near Fort William. 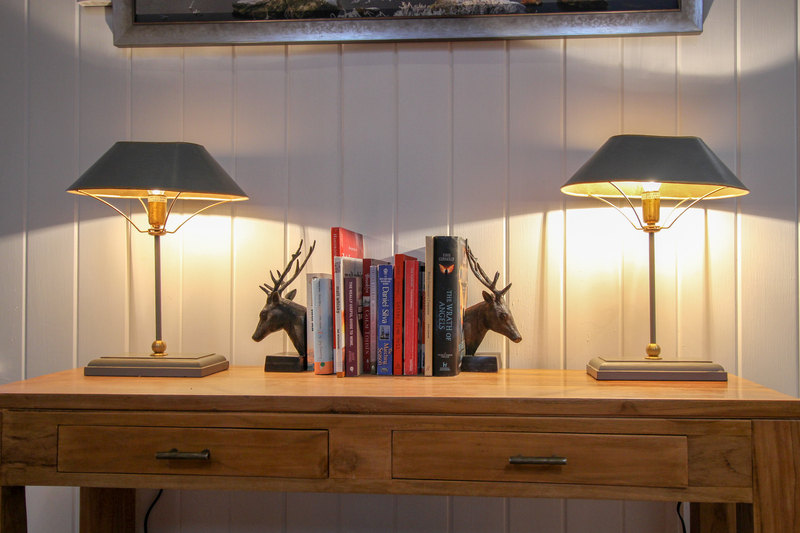 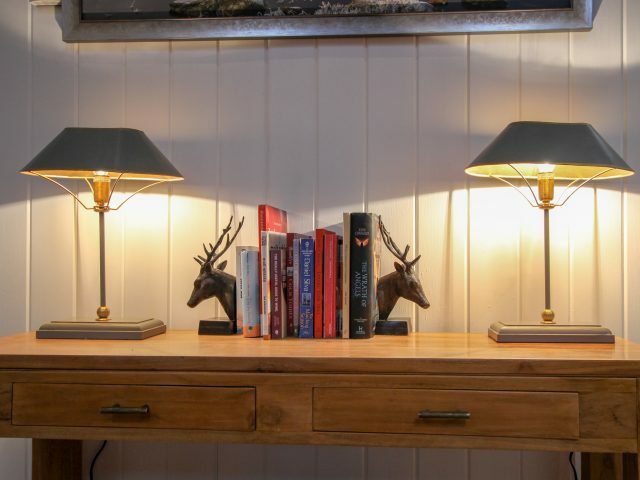 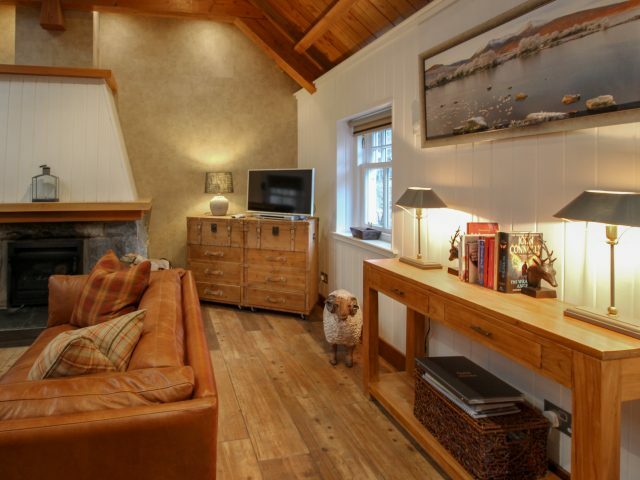 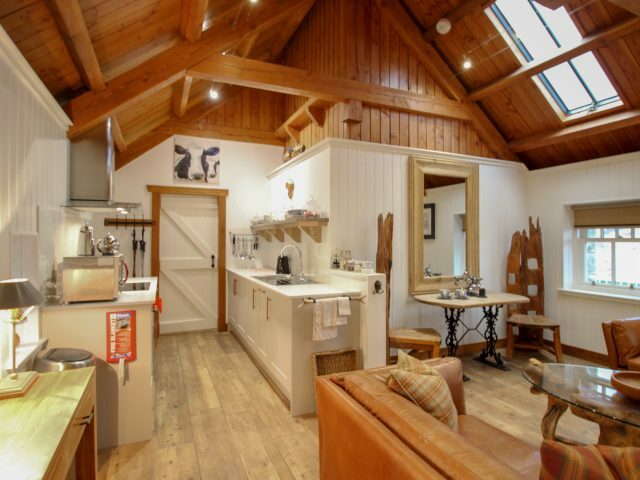 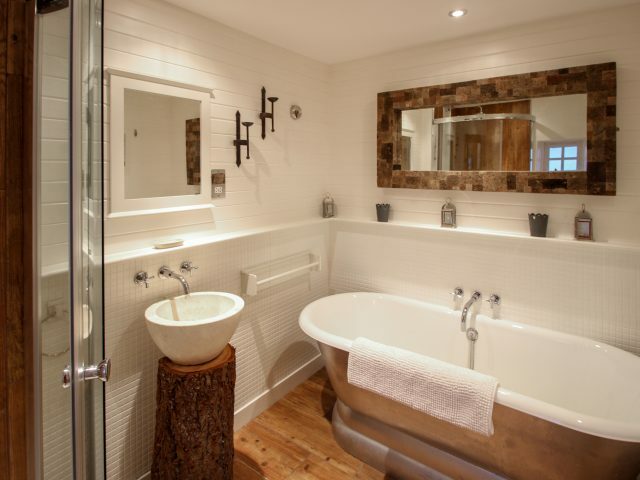 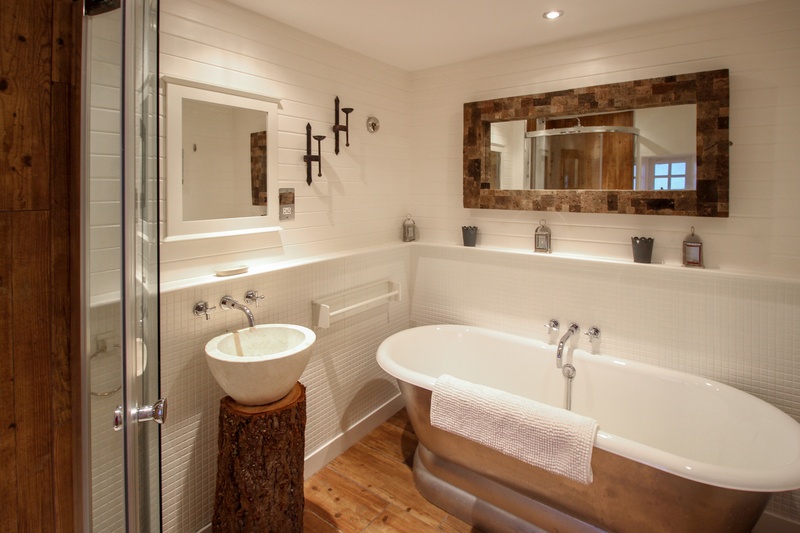 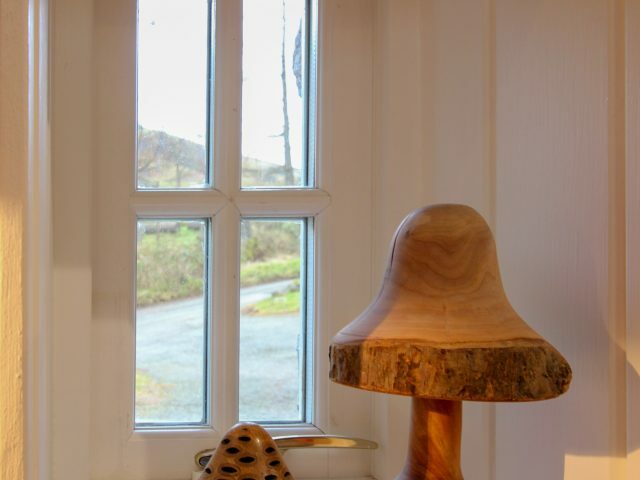 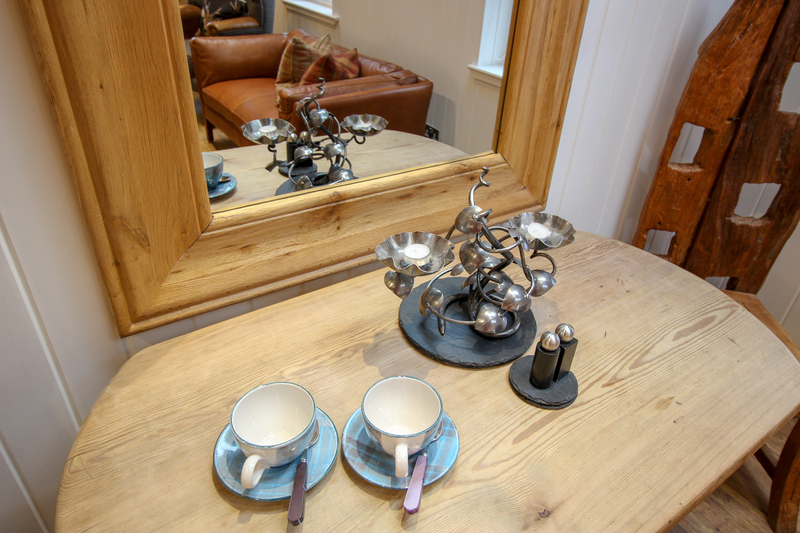 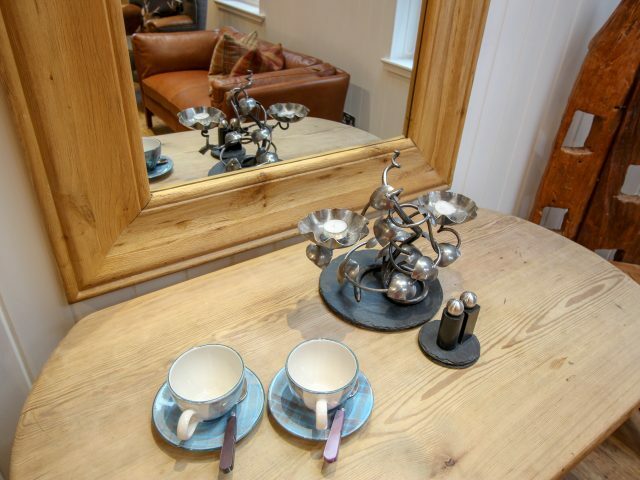 The Old Byre has been carefully designed and renovated to create a unique, luxury self catering cottage. 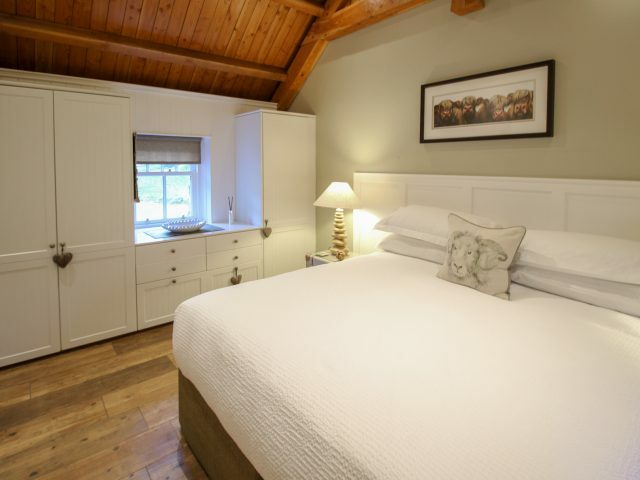 The bedroom is lovely with a super-king bed and custom built clothes storage. 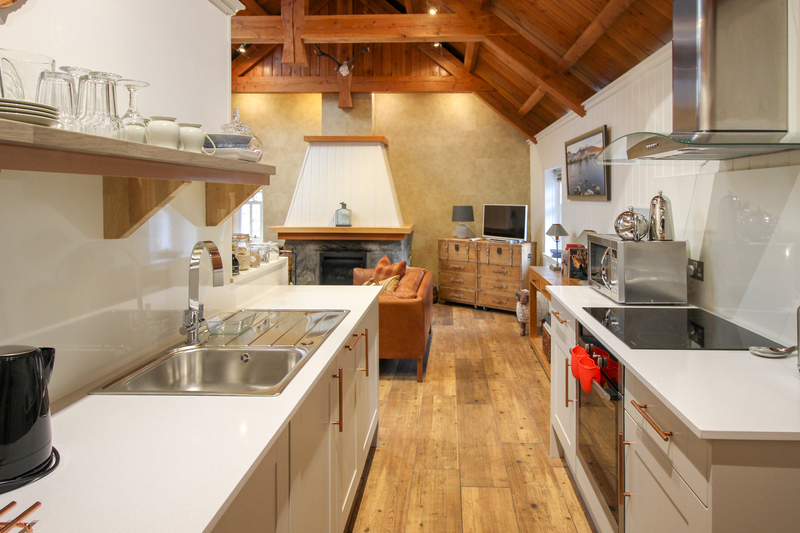 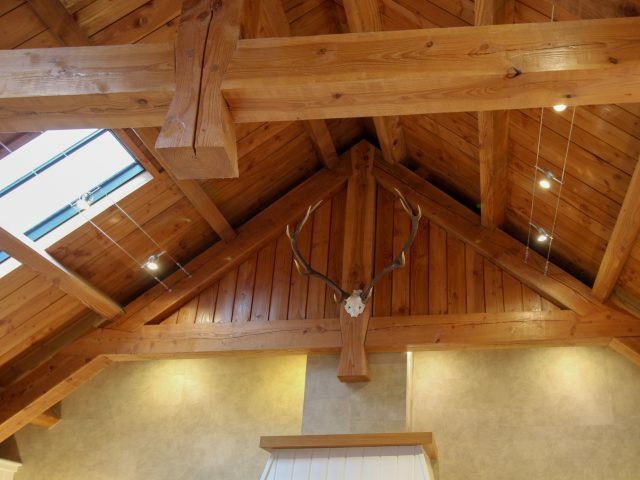 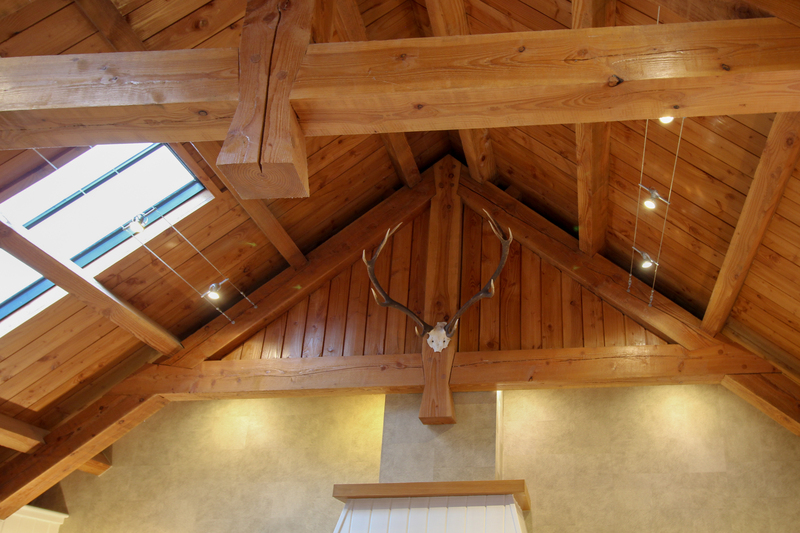 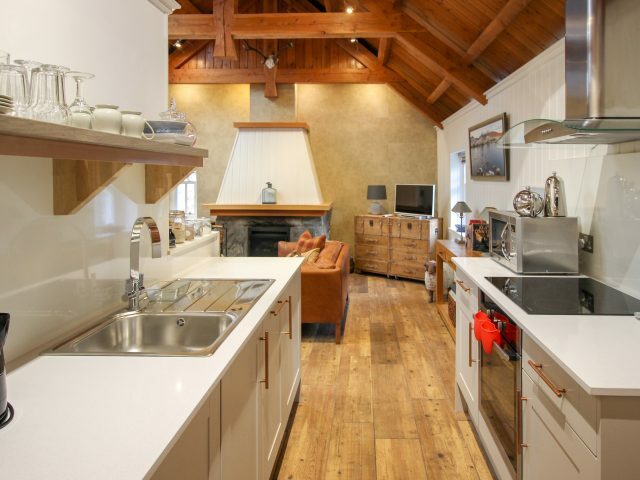 Natural, exposed heavy roof timbers and cedar panelling make a beautiful feature of the cottage. 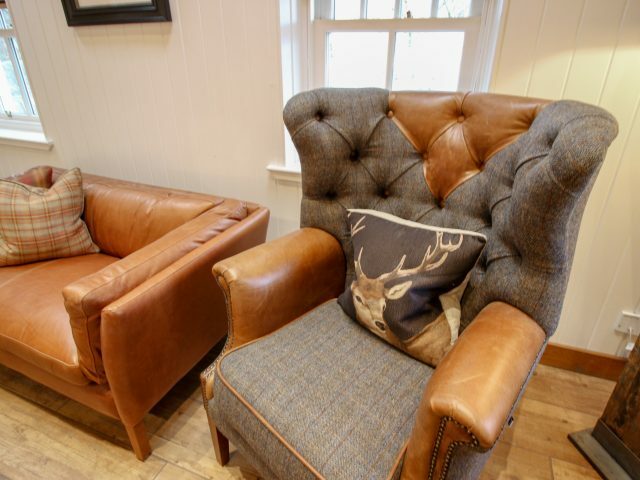 It has tiled floors and cosy rugs, comfy sofa and leather chairs to snuggle into by the log fire. 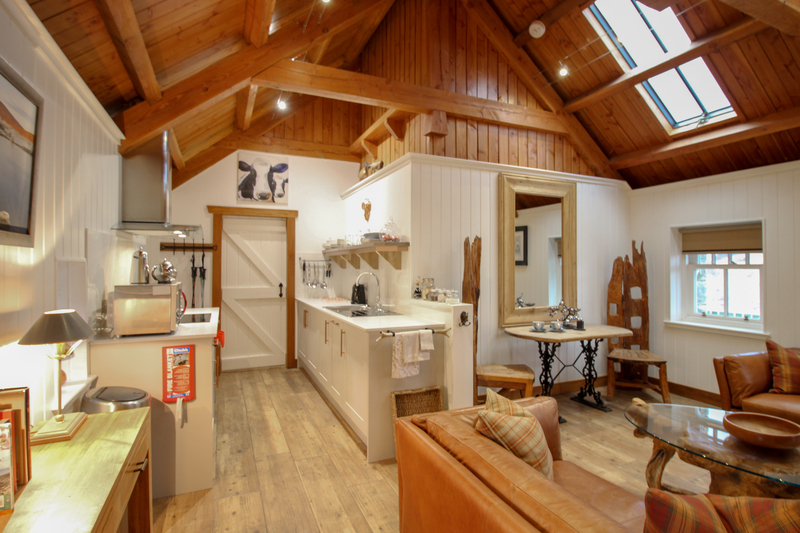 Fluffy bathrobes, luxury toiletries, rolltop bath, real log fire and underfloor heating make this cosy cottage a real escape from the city for two. 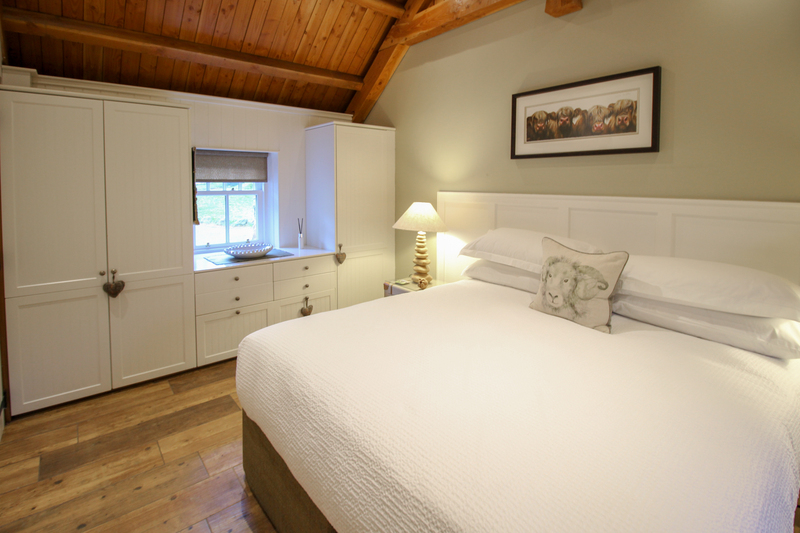 Our stone-built cottage comprises open-plan living room, kitchen and ensuite bedroom with bath and shower. 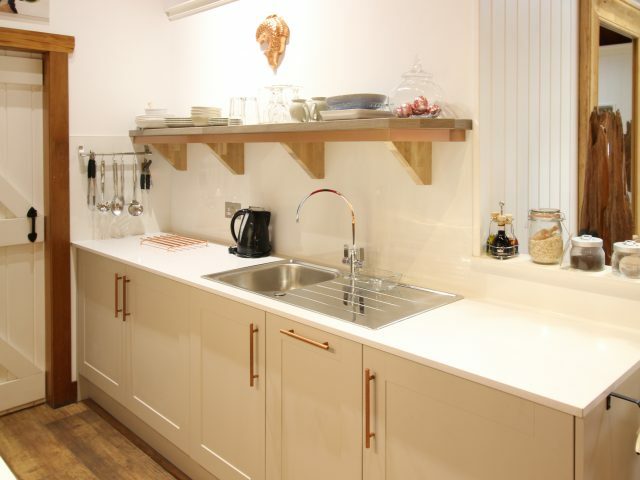 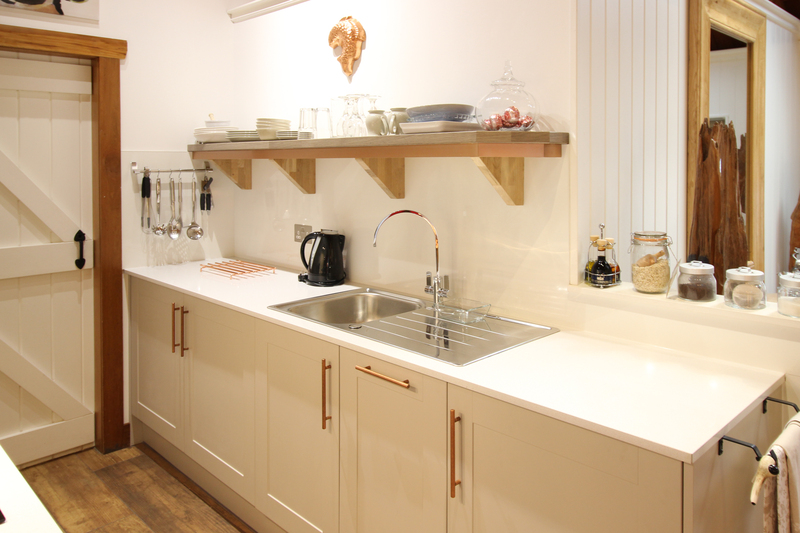 We have thought of everything you might need to make your stay comfortable and practical: washer, tumble-dryer, dishwasher, a fully fitted kitchen, all bed linen and towels. 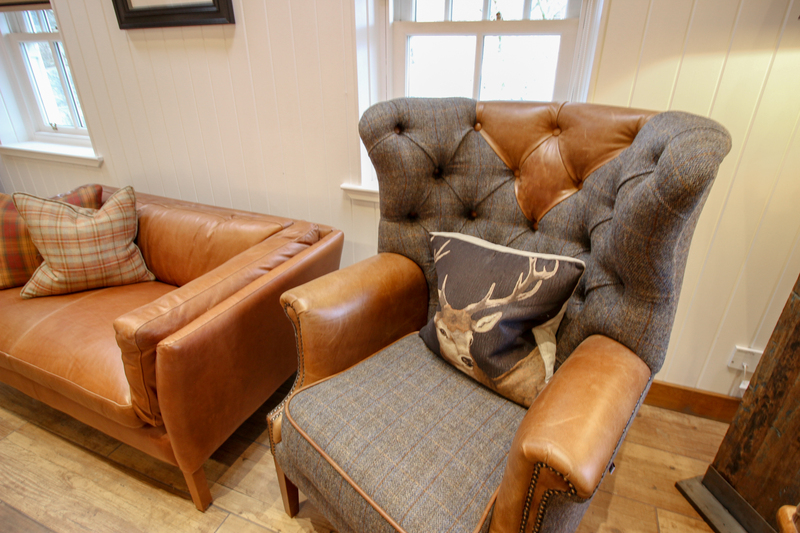 Free WiFi is available or we can turn it off if you would like to get away from it all! 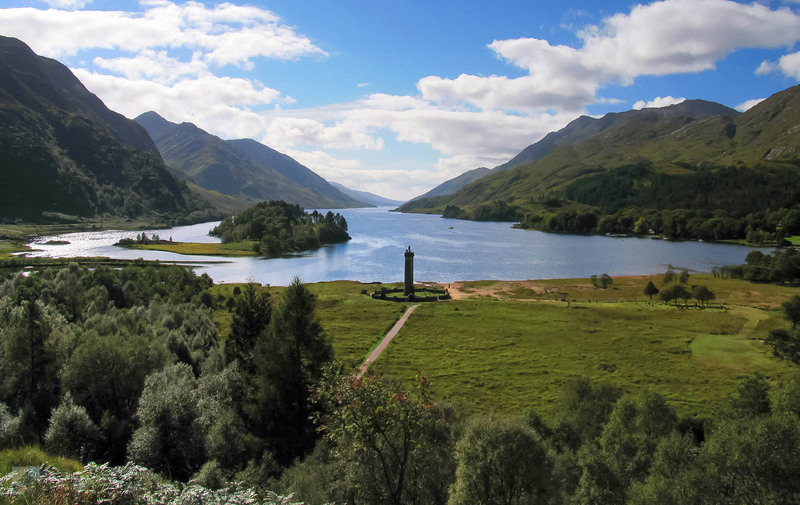 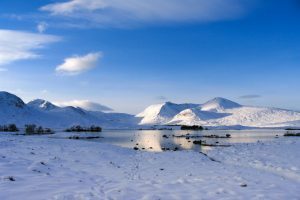 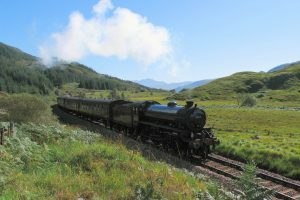 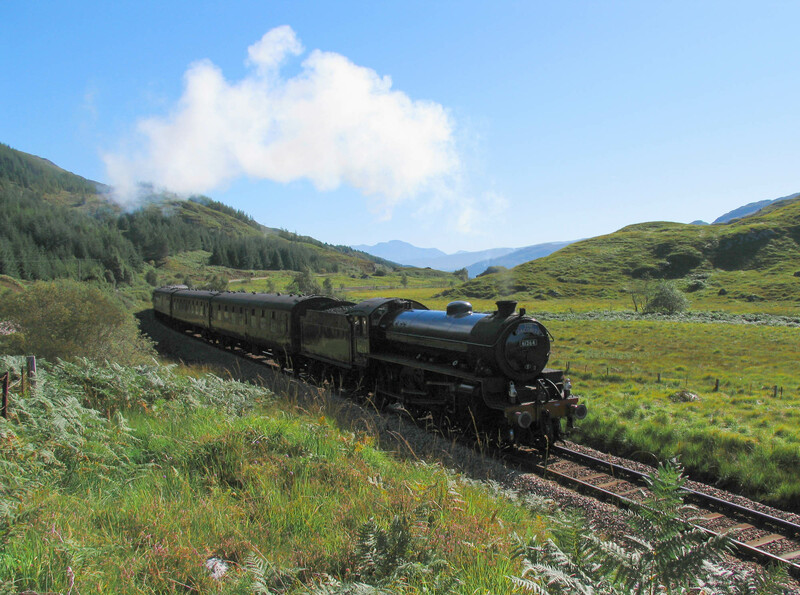 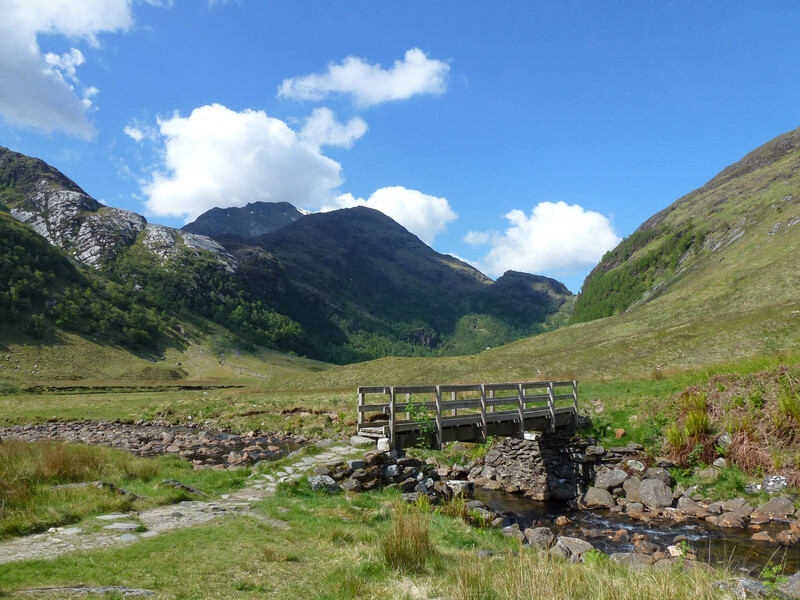 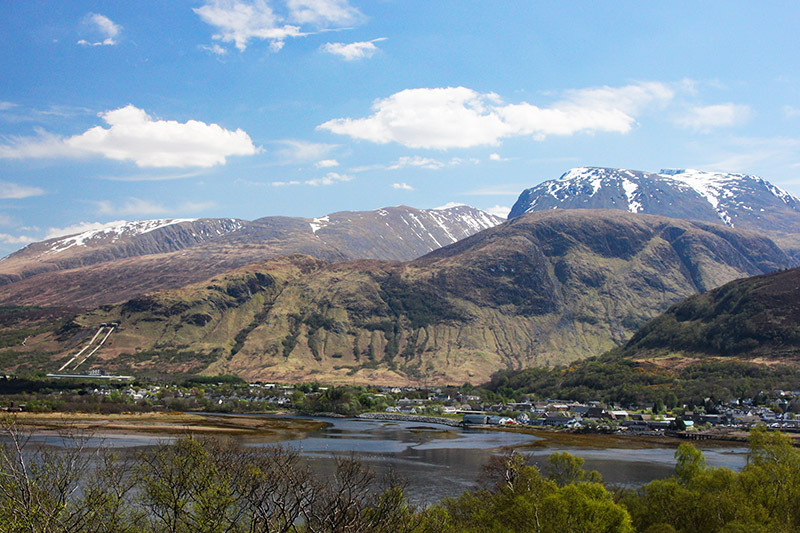 Fort William and Lochaber is a place where you can enjoy superb scenery all year round. 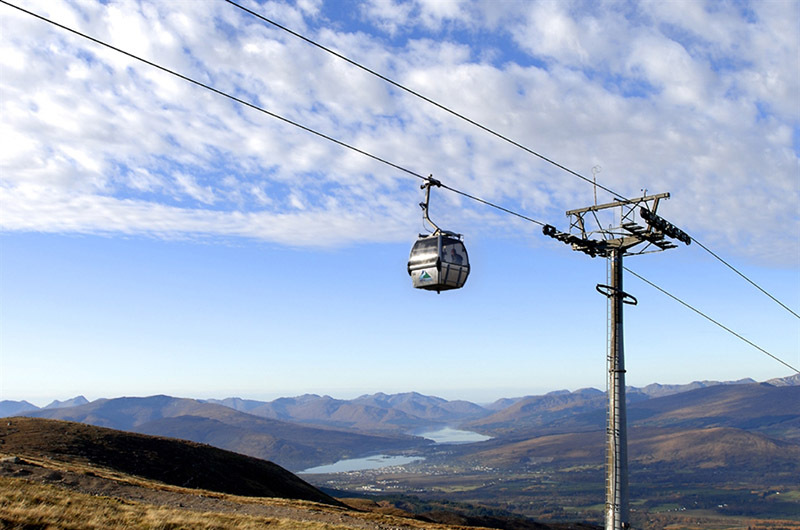 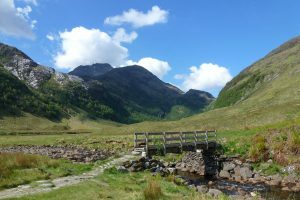 We have Ben Nevis, Britain’s highest mountain, Munros for walking and climbing, rivers and lochs for fishing or sailing, fresh clean air, many outdoor sports – voted the outdoor capital of the UK. 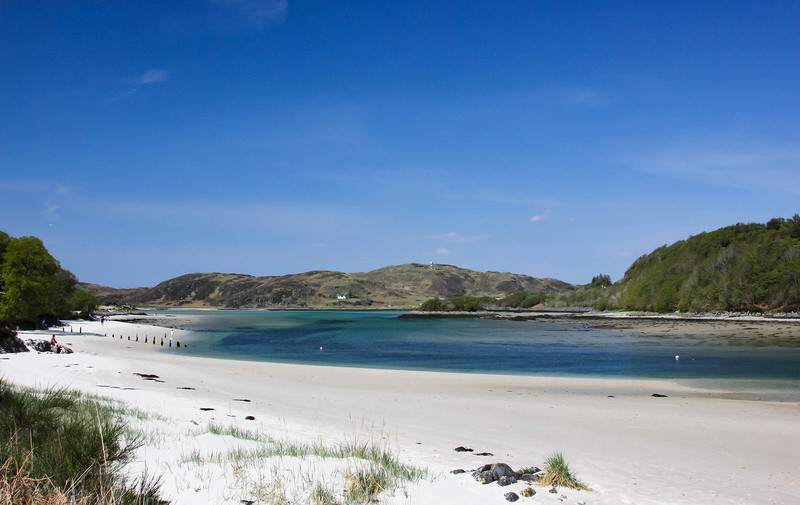 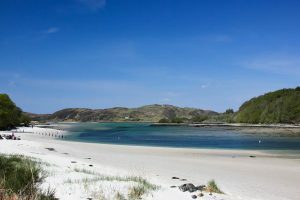 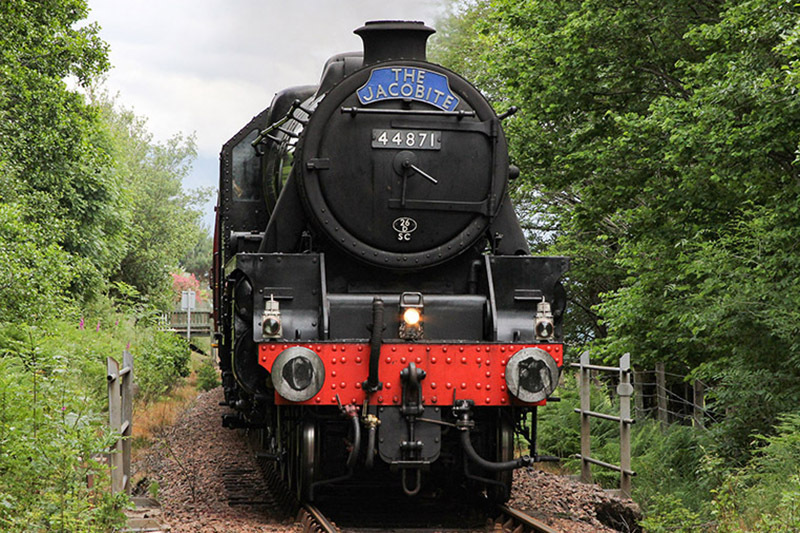 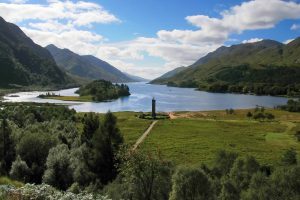 Not only can you take part in a huge variety of outdoor activities, on land, in the air and on the water, but you can do it in some of the most dramatic Scottish locations imaginable often used in major movies. 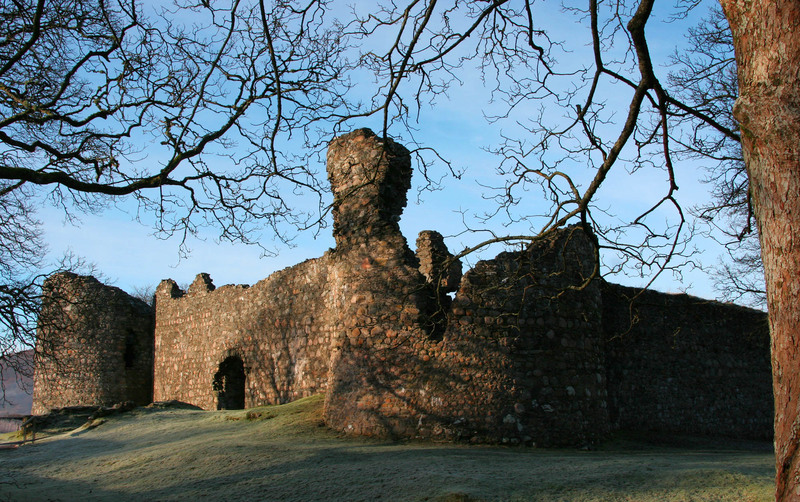 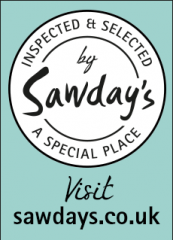 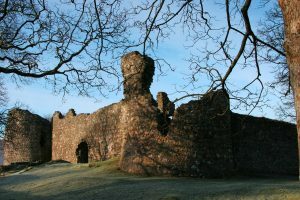 After a full day there are great restaurants to enjoy: The Smiddy, Inverlochy Castle, The Lime Tree, The Crannog and The Seafood Cafe, to mention a few.